Congress, including our many representatives who have since been expelled from Congress, somehow had extreme anxiety to rush this bad bill to passage. It had taken from May 20, 2009, first in the Energy and Commerce Committee and later in the full House, and by June 26, House leader Peolosi felt ready to ram it through. Once they started debate, the essence of what the bill contained was right on the table for all to see. None of it was good for the people or for business but it was good for special interests. It was good for Al Gore and it was good for other countries, especially China. For Al Gore, who already had made over $100 million on the green movement, this bill offered further income enhancement opportunity. Gore is expected to become the first green billionaire before this is all over. Considering he left the White house with a mere $2 million in the bank, green must be his favorite color. Why global warming is even debated anymore is a conundrum. The scientists on the global warming side lied about the data. Why would they do that? Because it did not prove the world was warming. The hacked emails of 2009 have proven that the science is bunk and that the scientists are covering up their fudge factors. These fudge factors were hard coded into computer programs (an invalid coding technique), and they were used as if real to demonstrate that their hypotheses was settled science. Climategate is a lot more real than "Climate Change." Climate Change is still "global Warming," a fake attempt by followers of Prohpet Gore to make him a quick billion. 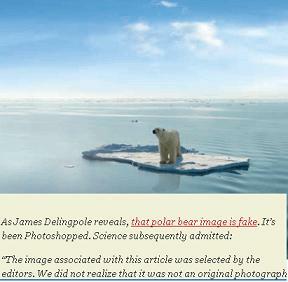 Climategate is the term given to all the lies used to eperpetrate the scam on the AMerican people. Yet, Al Gore woke up and he had $100 million in the bank and nobody was talking about an aindictment. Now, that is an inconvenient truth. So, Gore figured why not keep at it as those who continue seeking the truth after being proven frauds can often sway those not paying attention to their side. The sad fact is that the whole thing was and continues to be a big hoax on the American people. Since Al Gore is the bag man on the Green Movement, what do you exepct him to say? The Cap and Trade legislation is based on the Hoax. It is Al's convenient way to siphon off more of America's wealth for the liberal causes of the hard left. Al Gore literally is smiling all the way to the bank. The bill is designed to create a "cap-and-trade" system that forces polluters to amass credits equal to their emissions. Hidden in the language of the bill, all Americans are declared polluters. If you have enjoyed 70 degree air conditioned temperatures indoors in the summer when the outside temperature was 72, you are a polluter. If you have enjoyed 70 degree temperatures indoors in the winter when the outdoor temperature was 68 degrees, you are a polluter. If you have ever turned on a light, you are a polluter. If you drive a car, you are a polluter. If you are awakened each morning by a clock of sorts powered by anything other than a wind-up key, instead of a rooster, you are a polluter. If your rooster has produced methane gas recently, you are a polluter. If you have ever had food last for more than a month, when the outside temperature was over 32 degrees Fahrenheit, you are a polluter. Do I have to continue? Remove all the “ifs, ands, and buts.” Just take it on the chin, you American you---you are a polluter. Just like most legislation these days, this 1,428 page, $846 billion law was rammed through the house with little time for the representatives to read it. They saw the bill for the first time 16.5 hours before voting on it. Who are they kidding? Congress never read the bill. But that did not stop them from pleasing the leader. Nancy said they had to vote on it. Nancy Pelosi, a person who nobody knew just a few years ago, who was very important because she was the House Leader, insisted the vote be done before even a full day had passed. To make matters worse, Pelosi squeezed in a 300 page amendment to the bill (included in page count above). Why an eleventh hour 300 page amendment? The only answer I can come up with is that probably some friend of a friend was excluded from making their millions from the wake of the bill. Perhaps Al Gore was not getting his proper share of the pie. The cap and trade essence again, hard to explain, is to set in motion a new, clean-energy economy using a notion labeled “cap and trade.” This "greenhouse gas solution" is purported to provide the certainty that reductions will be achieved by setting emissions goals or caps. It also assures that the goals can be reached through the creation of what are called tradable permits. In other words, if your company is deemed a polluter, you can trade something of value, such as a huge sum of money to buy the rights to continue polluting, from someone who has become green and has extra carbon credits to spare. Al Gore, miraculously has been able to establish a few companies that are in the business of selling Carbon Credits. How convenient for Al! Hey, he only had $2 million just a few years ago. Does this sound a lot like Spring/Summer 2011? 1. For example, if you need to run your A/C because you have asthma, then you will be charged so much, you will not be able to buy your medicine. Oh, wait. That will be taken care of with the new Health Care System, Obamacare. The new Obamacare plan will not allow a doctor to treat someone unless it will IMPROVE their health. Oooops, asthmatics won’t improve, their treatments are only for maintenance. As with diabetics, AIDS patients, children with CF, CS, MS, Jerry’s kids, and on and on and on. Oh, wait. I get it. THAT will reduce energy AND medical costs, as people disappear from the planet -- well, after the obligatory decomposition phase. 2. First, don't think that global warming is proven science. It is far from it. Why is every scientist that has facts or a differing opinion shunned by the administration and the complicit media, and then blacklisted from science all together? Let’s look at the big picture. I can understand that certain people want to do good for the environment but everyone is missing the big point. Global Warming (now global climate change) is a HUGE BUSINESS!!!! All this equates to is a money making machine. Al Gore will be playing Scrooge next year as he has little time to do anything other than count his blessings---or is that sheckles? Let me explain the typical American. Go to work, come home read the news and see “Global Warming” everywhere, basically the media has made this a SCIENTIFIC FACT when in reality it is not. They count on Americans trusting them and they beelive that no American will do their homework to disprove liest told by credible newscasters. So, confident that they will not be proven charlatans, they go right along with it. If the news says it then it is fact. (channel change to American idol now). Why doesn't the media to prove the indisputable facts they claim, create a prime time show with scientists on both sides of the aisle to debate this for the common American to see? Oh! That might bring out the real inconvenient truth that this si a sham! Think of all the money these scientists get from the government to slant their studies so that the government can throw a fat tax on you to pay for their next big grant. We need to step outside our political party box and look real hard at what is going on. We need to do some of our own research. For the time being at least, until the good guys take over the government again, we need to put the big mac and tv remote down and stimulate our brains. We have to first defend ourselves and then make sure the perpetrators gain nothing on our watch. The fact is that global warming is not proven science, it is far from it. Every scientist that has facts or a differing opinion has been shunned by the UN chiefs and the media, and they are blacklisted from science all together? If you look at the big picture, you will see that Global Warming (now global climate change) is a HUGE BUSINESS!!!! All this equates to is a money making machine. On the other side of the argument there are over 100 Climatologists who are opposed to this phenomenon. They see it as a joke upon mankind. They see it all about Obama and the crooked 111th Congress wanting to get the Cap and Trade Carbon Tax to arrest even more control from the people. If elected, I will vote to eliminate Obamczar power and I promise that capa and trade will not survive if my vote is necessary. It is a sham. If it gets passed in the 112th Congress, which I do not think will happen, I will work to repeal it. On April 6, 2011, trying to fight back the Obama Czars implementation of cap and trade by executive fiat, rather than legislation, U..S. Senator Marco Rubio was one senator who commented on his vote in favor of an amendment to prevent the EPA from implementing cap-and-trade regulations with no congressional approval. Without such action, the country would be faced with a huge national energy tax from a president who says that only the rich should be taxed. The Rubio press release of April 6, noted that “The policies coming out of Washington are taking our country in the wrong direction, and the last thing Florida families and businesses need is unaccountable bureaucrats imposing an energy tax through regulation that will increase electricity and gasoline prices. Despite having bipartisan support, today the Senate unfortunately failed to act and prevent these regulations from ever being implemented and give job creators the certainty they need to create jobs or expand an existing business. Cap-and-trade would not pass through Congress today and Obama administration should not be able to put one in place through rules drafted behind closed doors without the consent of the American people,” said Senator Rubio. If implemented, the EPA’s regulations will have the effect of making electricity and gasoline more expensive for Florida families and businesses. Let’s see if Rubio’s way eventually takes hold or the President’s will be done, thereby forcing all Americans to dig a little deeper to help the income redistribution engine under the guise of energy regulations. Bob Casey Jr. has already agreed to the provisions of the House Cpa and Trade Bill so if it is up to Bob, Pennsylvanians will have to get part time jobs to pay their heating bills. Ask Senator Casey how he feels about Senator Rubio's concerns?